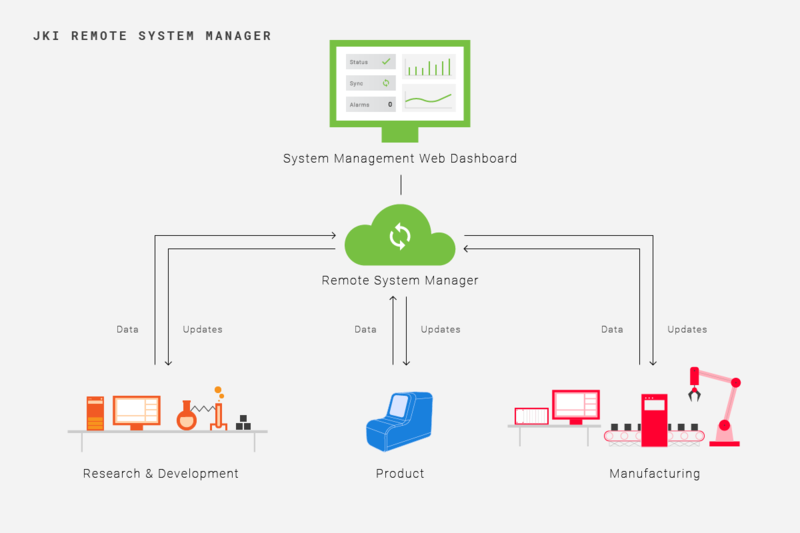 Manage Remote Systems Like a Pro! Tired of manually configuring and deploying new systems? Always wanted to remotely monitor your systems from a web dashboard? JKI took an existing early LabVIEW-based prototype design, built by Smarter Sorting, developed and iteratively evolved the prototype into a robust system that supports 2-way interaction for stationary, vehicle-based, and portable SIS (Single Item Sorter) workstations. This system is designed to aid on-the-spot, regulation-compliant sorting decisions by making recommendations to users.